In this roundtable session, you will meet with your peers and discuss how cyber intelligence and anti-fraud professionals can collaborate most effectively. The session will be limited to 100 attendees, on a first-come, first-served basis, to allow for maximum engagement and interaction. A facilitator will guide you through discussion questions, but the primary lessons will come from sharing experiences and best practices with your peers. Amy Boawn is an Insider Threat Program Design and Implementation Manager and Fraud Fusion Subject Matter Expert for Booz Allen’s Cyber Defense Team. She is responsible for leading and assisting in the strategic oversight of insider threat program design, implementation, operational testing and evaluation. She also collaborates on the deployment of anomaly and user-based behavioral detection tools and develops threat models, use case scenarios and risk indicators. Boawn has over 20 years of financial industry experience, and prior to joining Booz Allen, she was part of a team that developed online fraud controls for a Fortune 100 financial services firm. During her time there, she led multiple projects that included the development of fraud policies and procedures, the design and customization of technology-driven solutions and the development of anti-fraud training programs. 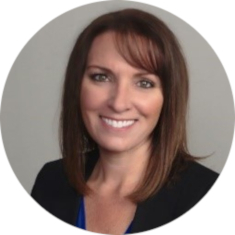 She holds multiple industry certifications, including Certified Fraud Examiner (CFE), Certified Anti-Money Laundering Specialist, Certified Information Security Manager and Insider Threat Program Manager (Certification issued by Carnegie Mellon University).